PRAGUE, July 24, 2017 – As part of its partnership with the Manolo Blahnik exhibition at the Museum Kampa in Prague in August, AVA Spa at Four Seasons Hotel Prague presents a special foot treatment that is a tribute to this world-famous designer of shoes with Czech roots. With AVA Spa’s “Precious Feet”, this special treatment indulges your feet with relaxing massage techniques using Sodashi natural cosmetics. This fusion of therapeutic botanical extracts warms and relaxes muscles and stimulates circulation after a long day on your feet. The aromatic blend of eucalyptus, ginger, rosemary and lavender essential oils rejuvenates feet, making them feel lighter, softer and completely relaxed. The luxurious Miracle24 Foot Mask by Bioxedia delivers a youthful look to the skin on your feet, leaving it perfectly hydrated, supple and velvety. The “Precious Feet” treatment takes 35 minutes and costs CZK 3,800. 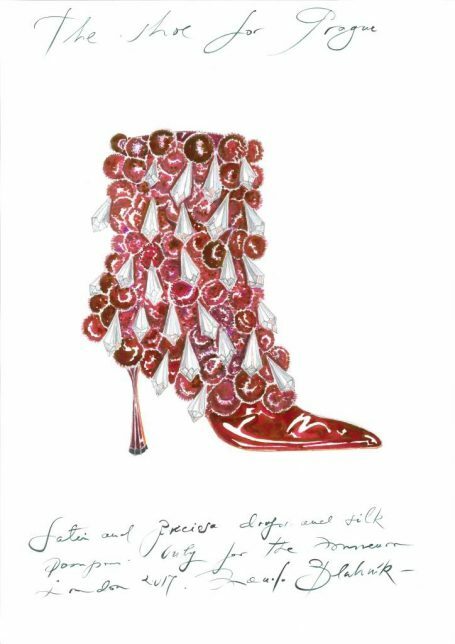 As a bonus, every client will receive a signed sketch of a shoe designed by Manolo Blahnik. The Spanish fashion designer and founder of the eponymous high-end shoe brand will present in person a selection of his masterworks during the exhibition at the Museum Kampa in Prague from mid-August 2017.